Tea drinking is now a global pastime, and a delectable variety of teas are much sought after by connoisseurs worldwide. In this meditative volume to understanding, appreciating, and serving Korean tea, authors Brother Anthony of Taize and Hong Kyeong-hee share their intimate knowledge of a cultural practice and art form that at its core embraces universal principles of peace, refinement, and simplicity. The Korean Way of Tea is a rich and inviting text accompanied by full-color photographs of the beauty of Korea and her architecture, nature, and people. 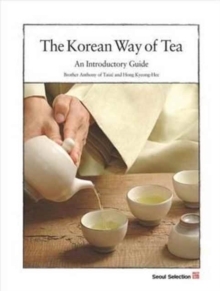 This introductory guide is a welcome addition for anyone interested in tea and its extraordinary contribution to the Korean cultural tradition. Publisher: Seoul Selection Co., Ltd.